This Ordinance, sponsored by Ald. Joe Moore (49th), and co-sponsored by 15 others, will be given a hearing on Valentines Day. HAVE A HEART, and make time to testify! Ask Mayor Daley and the City Council to pass the Chicago Clean Power Ordinance that would clean up two of the oldest and dirtiest coal-burning plants in the entire country! Each year, Fisk (in Pilsen) and Crawford (in Little Village) spew thousands of tons of toxic pollutants into Chicago’s air. Asthma, heart attacks, lung cancer, respiratory diseases and even premature deaths are directly attributable to these plants. Much of the pollution emitted from their smokestacks falls directly on the two predominantly-Latino communities of Pilsen and Little Village. They are the ones who suffer the brunt of the health impacts, raising strong concerns over environmental justice. Fisk and Crawford also are the largest stationary sources of global warming pollution in Chicago. Each year, they emit as much pollution as 872,000 cars! To date, the Daley administration has not supported the Ordinance. THIS CAN ONLY CHANGE IF WE PACK THE CHAMBERS, and let our Mayor and City Council know that it is time to either clean up or shut down these polluting plants. It is time for Chicago to live up to its reputation as being one of the nation’s greenest cities by taking action to clean up its air. Let YOUR voice be heard! Invite friends, family and co-workers. We need you to take time out of your day to participate in this hearing and help move this groundbreaking legislation forward. You’ll be glad that you did! 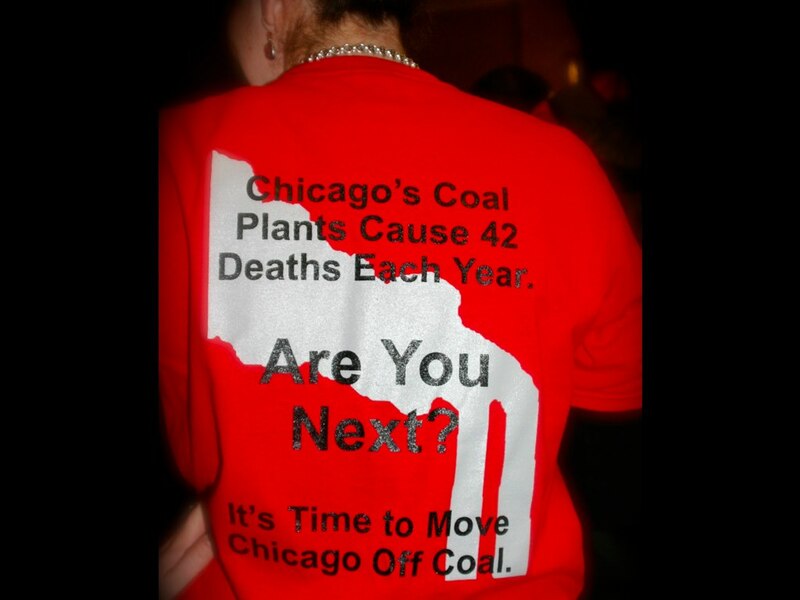 Visit http://cleanpowerchicago.org to sign up to testify and to learn more.